Fifty years is a milestone. Chris Smither has filled five decades worth of calendar pages playing music and while good fortune has a part, the title of his recent release, Call Me Lucky, is just one of the pieces that have granted him longevity. 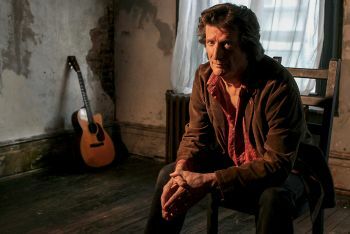 The persona of Chris Smither along with his style of playing and knack for penning a good song, his charm and ability to make a crowd his own since first taking the stage in early 1960’s Cambridge, Massachusetts, are all parts that make a whole career. Chris Smither traces his first lesson towards a musical goal to his Uncle Howard and his ukulele. Chris took his uncle’s words to heart, carving them as a cornerstone for a career with the simple message… ‘Uncle Howard showed me that if you knew three chords, you could play a lot of the songs you heard on the radio. And if you knew four chords, you could pretty much rule the world’. In addition to deserved credit for his songwriting, Chris Smither is a Bluesman and A-list interpreter for the music of other musicians. Call Me Lucky hosts cover versions with a Delta Blues take on Chuck Berry’s “Maybelline” and a molasses-slow version of 1930’s Mississippi Sheiks chart-topper, “Sittin’ on Top of the World”. With ten tunes at the heart of Call Me Lucky, Chris Smither gives a subplot to the recording, offering audio doppelgangers for five cuts, making the second disc of the album as Chris Smither does Chris Smither. Light picking lays underneath “Everything on Top”, the mood changing as distorted electric guitars crash over pounding percussion for the additional take of the tune on Call Me Lucky. Quiet guitars wrap around “By the Numbers”, the melody tossed over to piano for the second take while “Down to the Sound” rises on jumbled sonics into a Folk-Rock form, its mirrored audio image picking up the pace on a desert beat as raggedy jug band Blues backs “Change Your Mind”, the cut sinking down into a slow-motion groove in the retelling. 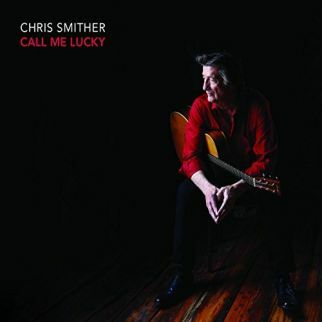 The backing musicians on Call Me Lucky follow Chris Smither within the song changes seamlessly, guided by longtime producer, multi-instrumentalist David Goodrich, alongside engineer Keith Gary with drummer Billy Conway (Morphine) and Matt Lorenz (The Suitcase Junket). The Blues scratches its way into Call Me Lucky with opening track “The Blame’s on Me” as Chris Smither sadly relates the last words of a love affair with The Beatles’ “She Said She Said” and sings an ode to self-awareness with “Lower the Humble”.